Ian Conrich is a Professorial Fellow at the University of Vienna, leading masters classes in visual and material culture. Previously, he was an Associate Head of School: Research at the University of South Australia, a Fellow at the University of Essex, Professor of Film and Visual Culture at the University of Derby, and the founding Director of the Centre for New Zealand Studies, Birkbeck, University of London. He was the 2005 MacGeorge Visiting Scholar at the University of Melbourne, and 2005-6 was a Visiting Scholar at Oxford University in the Institute of Social and Cultural Anthropology. In 2008 he was named Air New Zealand New Zealander of the Year. He has been a Guest Editor of Post Script, Asian Cinema, the Harvard Review, and Studies in Travel Writing. The author of New Zealand Film - A Guide (2008, in Polish), Studies in New Zealand Cinema (2009), Easter Island, Myths and Popular Culture (2011), and co-author of Gothic Dissections in Film and Literature: The Body in Parts (2017) and Sri Lankan Cinema: South Asian Film in Texts and Contexts (2019), he is an editor or co-author of a further thirteen books, including New Zealand - A Pastoral Paradise? (2000), The Cinema of John Carpenter: The Technique of Terror (2005), Film's Musical Moments (2006), New Zealand Filmmakers (2007), Contemporary New Zealand Cinema (2008), The Cinema of New Zealand (in Polish, 2009), Horror Zone: The Cultural Experience of Contemporary Horror Cinema (2009), New Zealand, France and the Pacific (2011), and Rapa Nui - Easter Island: Cultural and Historical Perspectives (2016). He has contributed to more than 50 books and journals and his work has been translated into French, Danish, Norwegian, Polish, Hungarian, and Hebrew. 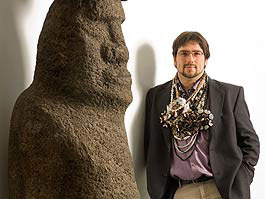 Martyn Harris graduated from the School of African and Asian Studies (SOAS), University of London, with a degree in Japanese and Linguistics, and a dissertation covering the Hopi tense and aspect system. He then moved to Birkbeck, University of London, to do a MRes in Applied Linguistics, exploring linguistic and statistical methods for the decipherment of rongorongo. 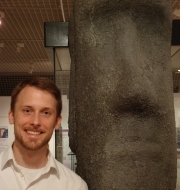 He is now a PhD student in Computer Science and Information Systems, at Birkbeck, focusing on data-mining and machine learning methods for exploring text corpora including the Aramaic magic bowls from late antiquity. Hermann Mückler is Professor of Cultural and Social Anthropology and Ethnohistory at the University of Vienna. His regional focuses for research are the Pacific Islands and he specialises in peace and conflict studies, colonialism and postcolonialism, geopolitics, history, visual anthropology and material culture. He has written and (co)edited twenty-four books and published over two hundred articles and reviews, most of them written in the German language. His recent publications include a four-volume edition in German about the cultural history of the Pacific Islands (2009–2013), an edited book on Walter Knoche: Die chilenische Osterinsel-Expedition von 1911 (2015), and a book co-edited with Ian Conrich: Rapa Nui – Easter Island: Cultural and Historical Perspectives (2016). He is president of the Anthropological Society of Vienna and the Austria-Fiji-Society, and vice-president of the Institute for Comparative Research in Architecture. Laura Sedgwick is the Book Reviews Editor for the Journal of New Zealand and Pacific Studies, and Assistant Organiser for the annual conferences of the New Zealand Studies Association. 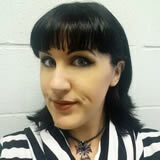 She holds an MA in Cinema Studies and a BA (Hons) in History of Modern Art, Design and Film, and is working on a PhD in Film Studies at the University of Stirling, examining the representation of haunted spaces in contemporary horror. She is the co-author of Gothic Dissections in Film and Literature: The Body in Parts (2017), and co-editor of a special issue of Post Script on 'Islands and Film' (2018). Dr Roy Smith is Principal Lecturer in International Relations, School of Arts and Humanities, Nottingham Trent University. 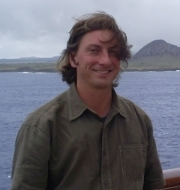 He has a particular research interest in small island states and has conducted fieldwork and written on islands ranging from Unst in the Shetland Islands to Palau and the Marshall Islands in the Pacific. He is a former visiting research fellow at the Australian National University, the Pacific Islands editor for the Sage publication Journal of Developing Societies, and an area representative for the Pacific Islands Society of the United Kingdom and Ireland. He is the author of The Nuclear-Free and Independent Pacific Movement: After Moruroa (1997), co-author of Diseases of Globalization: Socioeconomic Transition and Health (2001), and co-author of International Political Economy in the 21st Century: Contemporary Issues and Analyses (2010). He has also published in Journal of New Zealand and Pacific Studies, Global Environmental Politics, Security Dialogue, International Journal of Ethics, Central European Journal of International and Security Studies, and International Journal of Climate Change. Jennifer Wagner earned her PhD in Applied Linguistics in the Research Centre for Languages & Cultures at the University of South Australia. Her PhD project was an analysis of vocabulary and culture in university textbooks of French, with a focus on stylistic and geographic lexical variation. Jennifer taught French and Linguistics at the University of South Australia as well as English as a Second Language at Oakland University in the United States and Université Savoie Mont Blanc in France. She has published two books for learners of French and she has been the webmaster of ielanguages.com, a free language learning website, for over a decade. She is also an assistant editor of the Journal of New Zealand and Pacific Studies and was an assistant organiser for the annual conferences of the New Zealand Studies Association. 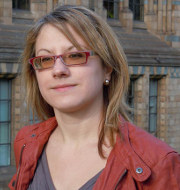 Corinne David-Ives is an Associate Professor from the University of Rennes 2 (Brittany, France) where she teaches Commonwealth studies, and the history of the British Empire. She completed her PhD on the construction of New Zealand national identity, with a focus on the place of the Maori. Her recent research deals with the different models of management of ethno-cultural diversity in postcolonial societies, examining the evolution of indigenous peoples' rights and the strategies used nationally and internationally for recognition and empowerment. She is presently working on how political ecology has become a new vector for indigenous claims. Her work has appeared in the journals Anglophonia, and the British Review of New Zealand Studies, and in the edited collections New Zealand and Australia: Narrative, History, Representation (2008), Conciliation et Réconciliation: Stratégies dans le Pacifique (2008), and Expériences des Guerres: Regards, Témoignages, Récits (2012). Alessandra De Marco holds a PhD from the University of Sussex in American Studies. 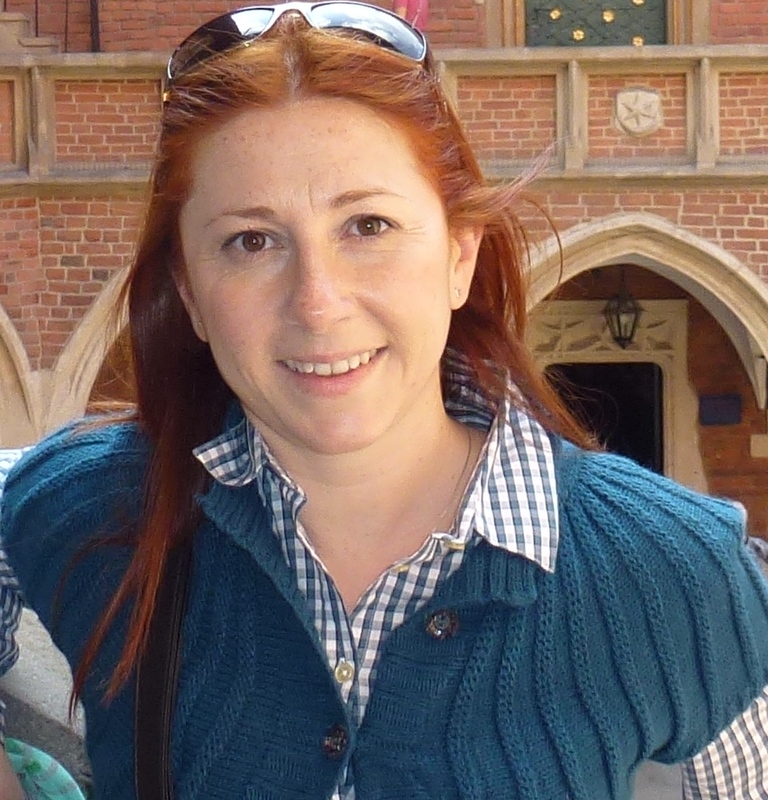 She is Adjunct Professor of English Language and Linguistics at the University of Calabria, Italy. After initially investigating US contemporary fiction, she has focused on literary and cultural translation studies, critical discourse studies and New Zealand and Pacific studies. Her current research interests include social semiotic multimodal analysis, the language of tourism and advertising, and destination branding. Her articles have appeared in The Translator, Journal of New Zealand and Pacific Studies, VIA – Voices in Italian Americana, Textual Practice, 49th Parallel, AmerikaStudien, and Literature Compass. Her book, Destination Brand New Zealand. A Social Semiotic Multimodal Analysis (2018), is published by Morlacchi University Press. Alessandra also works as a freelance translator. 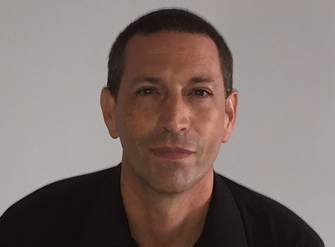 Richard Gauvain is Associate Professor of Political Science at The British University in Egypt. He obtained his doctorate from the University of Glasgow in Comparative Religion and Islamic Studies. He has spent twenty years living in the Middle East and has published books and articles on Islamic reform movements, religious rituals, and social media. His current research focuses on 'Images of Britain in Post-colonial Egypt'. Originally from Alderney in the Channel Islands, he has a longstanding interest in the workings of small island societies. Felix Hockey is a film student at Queen Mary University of London and has been an assistant for the annual conferences of the New Zealand Studies Association. He is also the writer of a number of short films that have played at various film festivals. As well as screenwriting, Felix has a keen interest in Japanese Cinema. Kseniia Kalugina (MA, University of Aarhus) is an assistant editor of the Journal of New Zealand and Pacific Studies, an assistant organiser for the annual conferences of the New Zealand Studies Association, and a co-editor of a special issue of Post Script on 'Islands and Film' (2018). She is a perpetual Ukrainian and an intermittent traveler, currently based in Denmark. Kseniia's research interests include the representation and shaping of science and technology in popular culture, especially in fictional narratives and films. Dr Lingling Mao is a senior lecturer in Chinese Studies at Nottingham Trent University. She gained a BA in Chinese Language and Literature from Zhejiang University, China; MA in Investigative Journalism from Nottingham Trent University; and a PhD in Women's Studies from York University, UK. Her main research interests include different generations of Chinese women, corruption and politics and innovation in language teaching and assessments. Her articles have appeared in The Journal of Chinese Sociology, The Conversation, International Forum of Chinese Language Teachers, and The Online Journal of The China Policy Institute. Before her academic career in the UK, she worked for a Chinese national media institution for eleven years, as a journalist, television news presenter and editor. 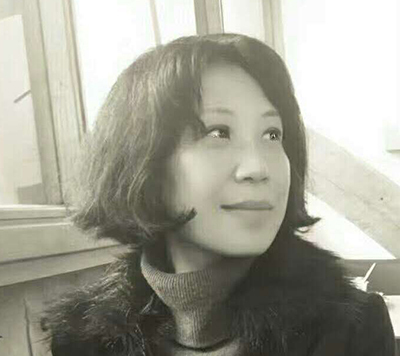 She won the Chinese National Broadcasting Feature Writing award twice, and has published more than a hundred feature articles in Chinese media outlets. 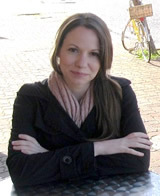 Sonja Mausen is currently pursuing her PhD on the topic of 'Contemporary Indigenous Novels from Australia and New Zealand' at RWTH Aachen University. Her research interests include Postcolonial Literatures, First Peoples Canadian Literature, Pacific Literatures, Trauma Studies, and Narratology. She holds a Master of Arts degree in English Studies and German Literature and is an Alumni of the German-American Fulbright Commission. 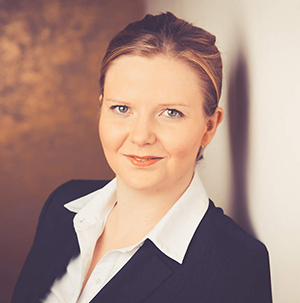 She has previously held a position as lecturer for Middle High German Literature at Aachen University and is the current Student Deputy Equal Opportunities Officer. 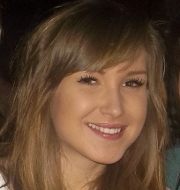 She is also the Communications Officer for the New Zealand Studies Association. Gerardo Rodríguez-Salas is a senior lecturer in English Literature at the University of Granada (Spain). He gained an MA in Women’s Studies from the University of Oxford and a PhD in English Literature from the University of Granada. He was a visiting scholar at Mansfield College and the Bodleian Library, University of Oxford, 2000-2003, at the Stout Research Centre, Victoria University of Wellington, 2002, and at the University of Birmingham, 2004. He is the author of three books on Katherine Mansfield – the latest on the female grotesque and cannibalism – and co-editor of Community in Twentieth-Century Fiction (2013) and New Perspectives on the Modernist Subject (2018). He has contributed to more than 50 books and journals, among others, Language, Literature and Culture, Australian Literary Studies, Antipodes, Journal of New Zealand and Pacific Studies, Meanjin, JASAL, Atlantis, Virginia Woolf Miscellany, FEMSPEC, and Bilingual Review. His short story collection, Hijas de un sueño, was published in 2017, and his book of poetry, Anacronía, and his play Bulanicos, are forthcoming. Andrea Wright is a senior lecturer in Film Studies at Edge Hill University. She gained her PhD in screen fairy tales at the University of Surrey, Roehampton. She has written on production design and the representation of the female body in sword and sorcery cinema for The Australasian Journal of Popular Culture; and adaptation and national identity in the film The Quiet Earth for the collection Science Fiction Across Media. Other publications include essays on gender representation in the television dramas The Paradise and Mr Selfridge, and the Downton Abbey festive specials. 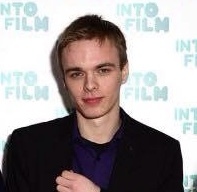 Adam Crowther graduated from the University of Derby with a First Class honours degree in Film Studies. Adam was also the President of the University's film society, and was the Secretary for the previous year. 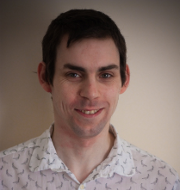 Through the society, Adam has organised various events with the University, local professionals, and national media centres and is currently working with Derby's local arts centre QUAD. In addition, Adam has a strong interest in practical filmmaking and has worked on numerous independent productions in a variety of roles both big and small. He has recently completed the edit of a documentary about the now defunct Friars club in Aylesbury, which was once home to acts such as David Bowie and The Clash. 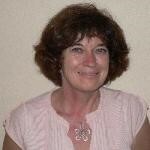 Teresa comes from Poland; she previously lived in Spain and presently she is based in the UK. She has a BA in International Relations from A.F. Modrzewski Krakow University and a MA in Latin American Studies from Jagiellonian University in Krakow. She has researched on Spanish language and Iberian and Latin American cultures. She was involved in the organisation of a variety of events promoting Latin American culture and young artists in Krakow, Poland. The projects included photographic exhibitions, talks, meetings with travellers and artists, and a cycle of film shows. 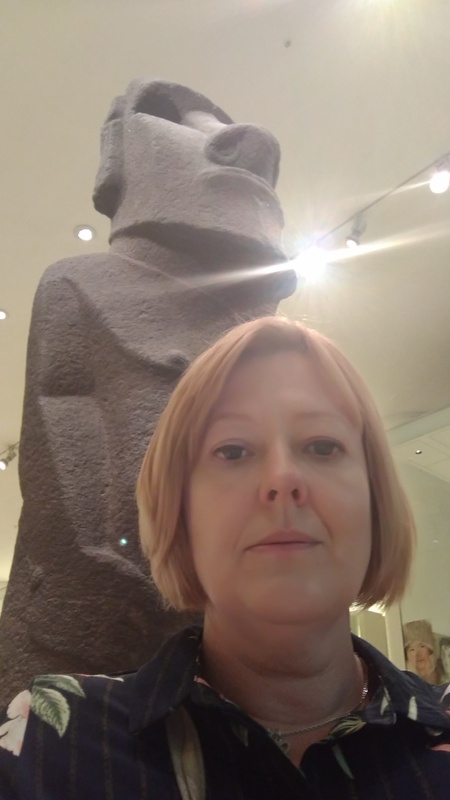 Recently, she has been drawn to Easter Island, as part of her work on Spanish speaking communities associated with Latin America. Lauren was based at the University of Derby, where she studied for a joint honours in Popular Culture & Media and Film & Television Studies. She has a strong interest in film and popular culture and runs a film blog called Significant Cinema. 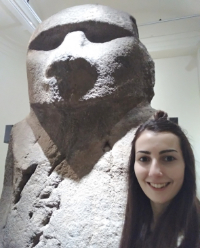 Lauren enjoys travelling and hopes to visit Rapa Nui one day. Peter Munford graduated with First Class honours in Film Studies from the University of Derby. He is a member of the cinema team at QUAD, Derby's centre for art and film. Whilst there, he has helped to run iD Fest, a film festival exploring the concept of identity in cinema. He has also curated for the QUAD a monthly film night focusing upon the cinema of East Asia. Patricia Porumbel graduated with a First class honours degree in Film and Television Studies from the University of Derby. She has been an Assistant Editor for the Journal of New Zealand and Pacific Studies and Assistant Organiser for the annual conferences of the New Zealand Studies Association. 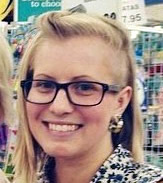 Bree Tinsley is a PhD candidate at the University of South Australia. She has an Honours degree in Children's Literature and her research interests include popular culture, celebrity, feminist studies and Young Adult literature. Bree loves travelling and is fascinated by myths and legends. Dr Dan Bendrups teaches at La Trobe University, Australia. He has made significant contributions to the field of Pacific ethnomusicology, especially with regard to his work on Rapanui (Easter Island) music (the subject of his PhD), and he is currently Chair of the Regional Committee for the International Council of Traditional Music. 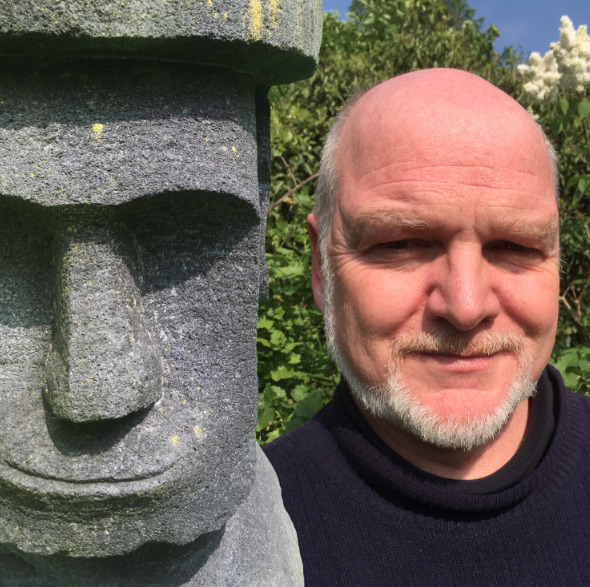 He is credited with creating a digital music repository of archival recordings on Rapanui, and is a strong advocate of action research initiatives that lead to tangible reciprocal outcomes for research participants. To this end, he has produced commercially oriented sound recordings, and assisted in obtaining research funding for musicians and culture bearers with whom he has worked. Frieder was born in Chile and grew up in Germany. 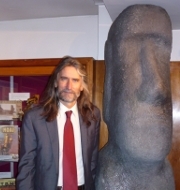 In 2004, he decided to take a break within his academic career and to move to Rapa Nui, where he has since been acting as a guide for visitors from all around the world.